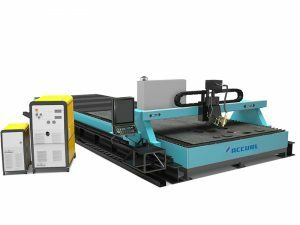 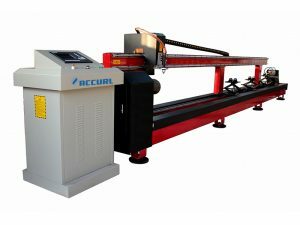 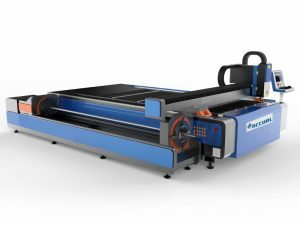 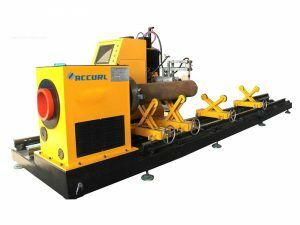 ACCURL offer Plasma Tube Cutting Machine is a cutting machine that uses plasma as power source to make cuts on various shapes of tubes or beams, such as square tubes, round tubes, I beams, H beams, or C beams. 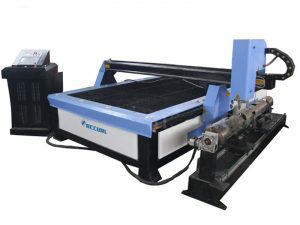 CNC controller is used to control the motion of this CNC plasma cutting torch or the rotation of the tubes or beams. 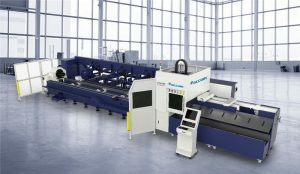 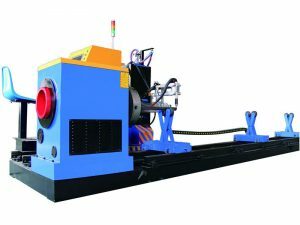 The picture below shows a typical system of plasma tube cutting machine. 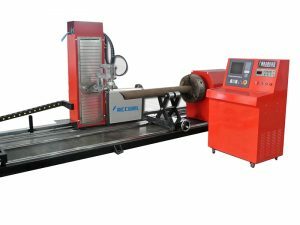 It consists of CNC controller, plasma power, and tube feeder. 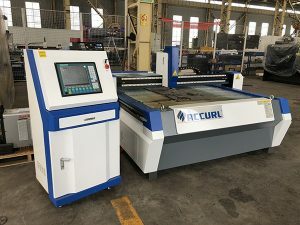 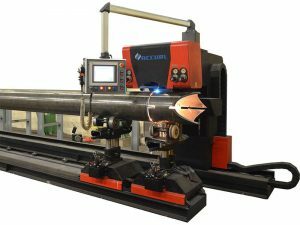 With the help of CNC controller, the plasma torch can move linearly in both X and Y direction, while the square tube, the round tube or the beams can be rotated. 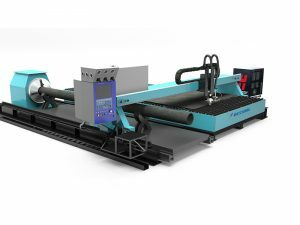 The combined CNC movement enables the CNC plasma cutter to cut almost any shape on the tubes. 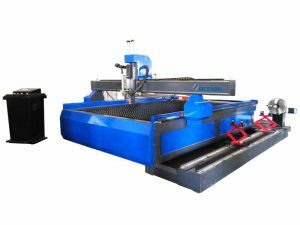 CNC plasma tube cutting machine is mainly useful to cut metal square tubes, angels, H or C beams, and also round pipes. 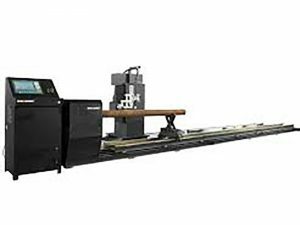 The machine can cut off the beam to length, or cut openings of any desired shapes. 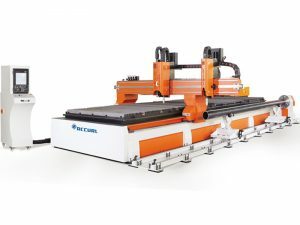 It is of 5 axis CNC and equipped with servo system and linear guides for precision motion control. 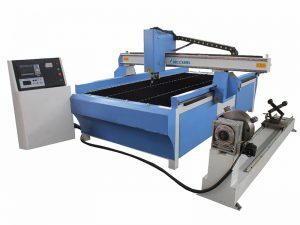 Plasma torch height control and collision protection are also included. 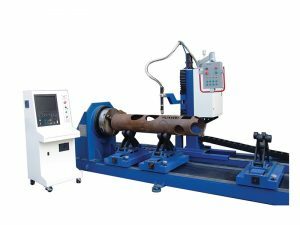 Models of plasma tube cutters are mainly Specified by the length of tubes the machine can cut, and also the size of the tube the plasma tube cutter can rotate and cut, the OD of the round tube, or the square size of the square tubes. 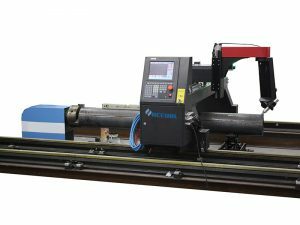 Often the type of the plamsa power is part of the specification of the overall plasma tube cutter. 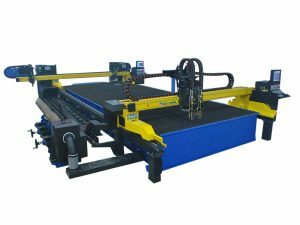 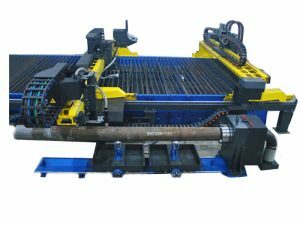 A complete set of CNC plasma tube cutting machine system consists of 4 major components: Cantielver torch carrier, Tube rotaion and feeding frame, CNC controller, and Plasma power unit with machine torch.